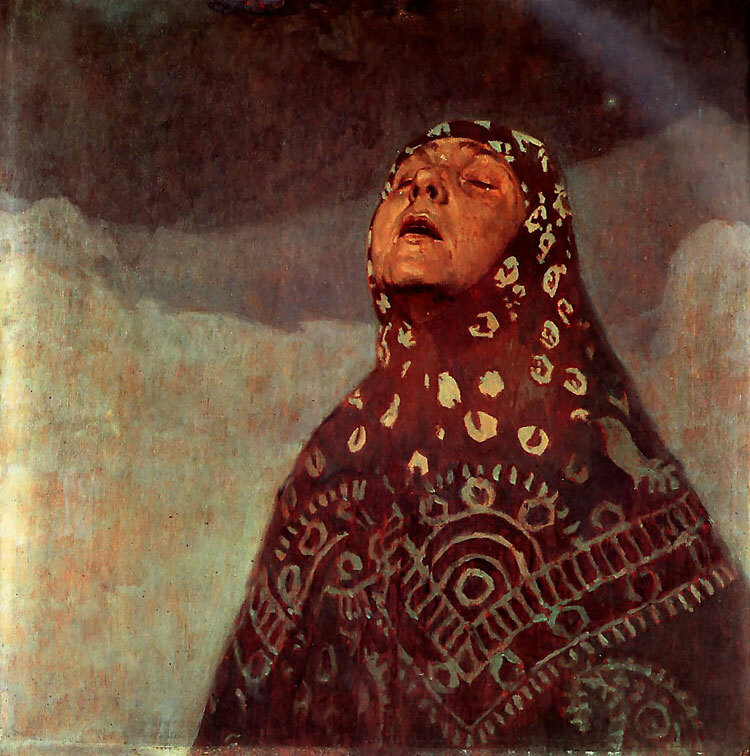 Alphonse Mucha, Woman in the Wilderness. THE SADDEST THING about contemporary life is the way in which choosing not to participate in endless chatter and persiflage is deemed to be antisocial, boring, affecting a pose or even downright rude. In a world that cannot stop talking, to coin Susan Cain, the need for a more introverted, contemplative way of living has never been so coveted by those of us who simply wish not to verbalize our every passing thought and emotion within our surrounding environment. Despite eminent gurus, such as Bhagavan Sri Ramana Maharshi, suggesting to us that it is perfectly possible to find peace of mind in the midst of the bustling marketplace or backstabbing office, many philosophers from time immemorial have advocated a retreat from familial and societal obligations into the solitary life as being the only means to acquiring emotional harmony and mental equilibrium. Tis not that a wise man may not live everywhere content, and be alone in the very crowd of a palace; but if it be left to his own choice, the schoolman will tell you that he should fly the very sight of the crowd: he will endure it if need be; but if it be referred to him, he will choose to be alone. An advocate of the classics, Montaigne quotes liberally from a vast array of Latin scholars—Seneca, Marcus Aurelius, Horace—lending his prose authority and gravitas and harking back to a time when civilization understood the need to live a life grounded in imagination and virtue. Now, since we will attempt to live alone, and to waive all manner of conversation amongst men, let us so order it that our content may depend wholly upon ourselves; let us dissolve all obligations that ally us to others; let us obtain this from ourselves, that we may live alone in good earnest, and live at our ease too. 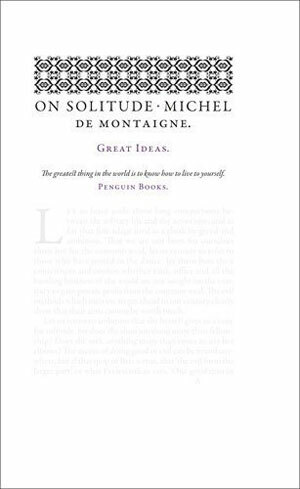 Only in solitary confinement, Montaigne argues, is it possible to take stock of our lives, dissolve attachments and rediscover equipoise and peace. Indeed, exchanging one set of circumstances for another—livelihood, career, spouse—is merely exacerbating the problem and the cycle of pain and suffering will persist until we have sequestered and repossessed our own souls. Wives, children, and goods must be had, and especially health, by him that can get it; but we are not so to set our hearts upon them that our happiness must have its dependence upon them; we must reserve a backshop, wholly our own and entirely free, wherein to settle our true liberty, our principal solitude and retreat. And in this we must for the most part entertain ourselves with ourselves, and so privately that no exotic knowledge or communication be admitted there; there to laugh and to talk, as if without wife, children, goods, train, or attendance, to the end that when it shall so fall out that we must lose any or all of these, it may be no new thing to be without them. We have a mind pliable in itself, that will be company; that has wherewithal to attack and to defend, to receive and to give: let us not then fear in this solitude to languish under an uncomfortable vacuity. 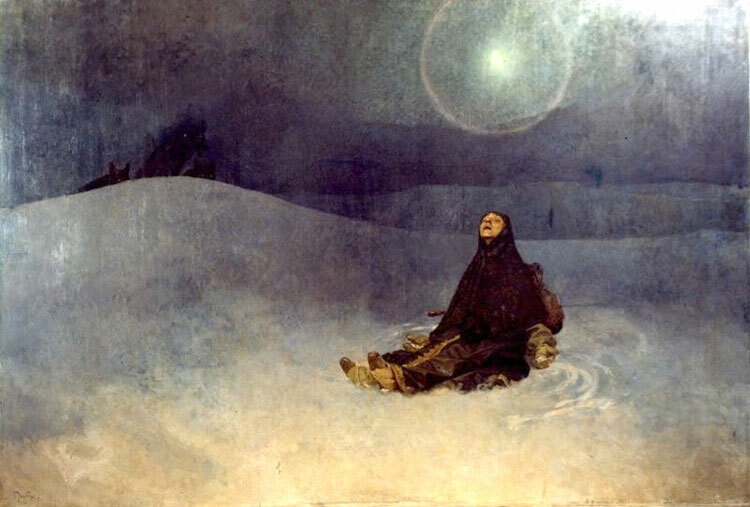 Solitude seems to me to wear the best favor in such as have already employed their most active and flourishing age in the world’s service, after the example of Thales. We have lived enough for others; let us at least live out the small remnant of life for ourselves; let us now call in our thoughts and intentions to ourselves, and to our own ease and repose. ‘Tis no light thing to make a sure retreat; it will be enough for us to do without mixing other enterprises. Since God gives us leisure to order our removal, let us make ready, truss our baggage, take leave betimes of the company, and disentangle ourselves from those violent importunities that engage us elsewhere and separate us from ourselves. We must break the knot of our obligations, how strong soever, and hereafter love this or that, but espouse nothing but ourselves: that is to say, let the remainder be our own, but not so joined and so close as not to be forced away without flaying us or tearing out part of our whole. The greatest thing in the world is for a man to know that he is his own. ‘Tis time to wean ourselves from society when we can no longer add anything to it; he who is not in a condition to lend must forbid himself to borrow. Our forces begin to fail us; let us call them in and concentrate them in and for ourselves. He that can cast off within himself and resolve the offices of friendship and company, let him do it. In this decay of nature which renders him useless, burdensome, and importunate to others, let him take care not to be useless, burdensome, and importunate to himself. Let him soothe and caress himself, and above all things be sure to govern himself with reverence to his reason and conscience to that degree as to be ashamed to make a false step in their presence. You are to do like the beasts of chase, who efface the track at the entrance into their den. You are no more to concern yourself how the world talks of you, but how you are to talk to yourself. Retire yourself into yourself, but first prepare yourself there to receive yourself: it were a folly to trust yourself in your own hands, if you cannot govern yourself.